Aside from the legendary Anzac biscuits, another treat that Aussies can enjoy on Anzac Day is a good old-fashioned lime tart. The light, fresh and zesty flavours are guaranteed to give everyone a good mood. Ready in just an hour and a half, this dessert is perfect for those who are entertaining friends or family on this holiday. Made from simple ingredients like rolled oats, golden syrup and flour coconut, you don't have to go too far to start whipping up this sumptuous Anzac lime tart! Mix oats, flour, sugar and coconut in a bowl. Mix melted butter, baking soda and golden syrup in another bowl. Combine the two mixtures together. Stir thoroughly. Grease a glass pie plate lightly. Press the mixture evenly into the dish, making sure the bottom and sides are equally filled. Mix condensed milk, beaten egg yolks, lime juice and rind. 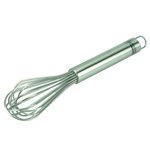 Beat with an electric or stand mixer on medium speed for 1 minute. Pour this to the pie shell. Chill for an hour or longer, then serve.